Being at the forefront of appointment data, ShowingTime has a unique perspective on showing trends. Sifting through the numbers we were surprised to discover the correlation between the average number of showings per month on a listing and its appointment type. 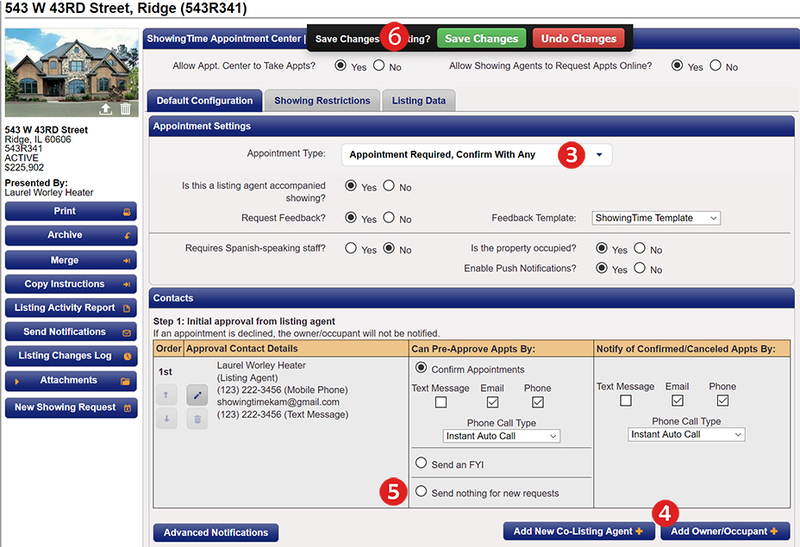 Listings that are set up to auto-confirm their appointments (we looked at listings that are occupied by homeowners and/or tenants) see on average 30% more requested showings, more confirmed appointments, and fewer cancellations. Additionally, the number of showings during the first week has a strong correlation with a higher sold price and shorter DOM. For sellers who would like plenty of time to prepare for a showing, Lead Times, and Showing Exceptions are perfect to help them feel that they are in control. 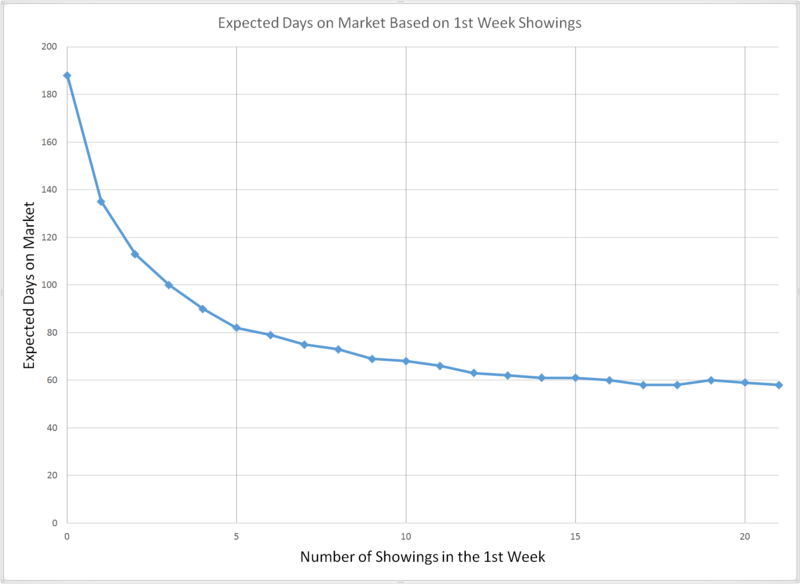 Note: According to our analysis, the first week on the market can really set the tone for the sale. When a home is on the market for a long time, fewer and fewer showings are scheduled. Your sellers begin to wonder what the decreasing feedback responses mean and you start thinking of ways to draw more attention to the location. However, at the start of your relationship with the seller, let them know that the more showings they allow, the better chance they have to close the deal. 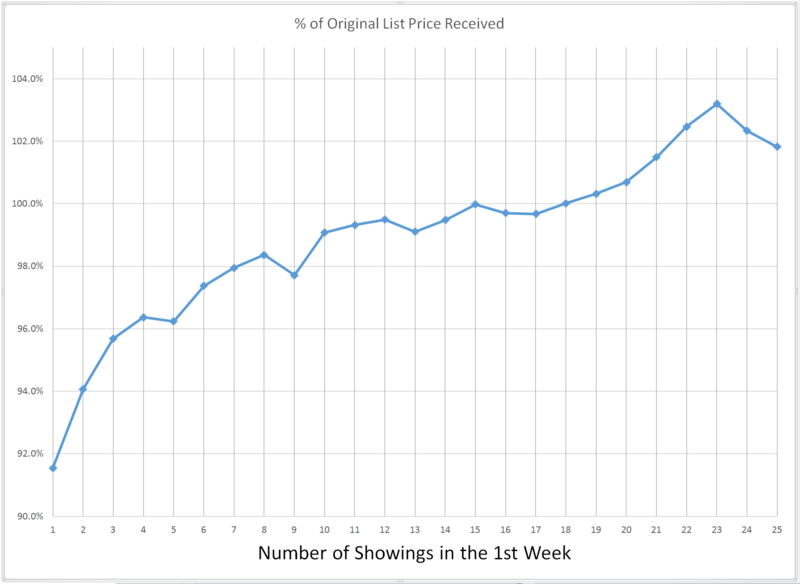 First week's showings and percentage of original list price received. Leaving a home is not easy. All the memories and events that have occurred in the home, drive sellers to need the best possible price in the quickest amount of time. Many of these sellers are already in a new place or making plans to move further away. Removing obstacles like exclusivity in showings and lengthy response times means more showings and motivated buyers. 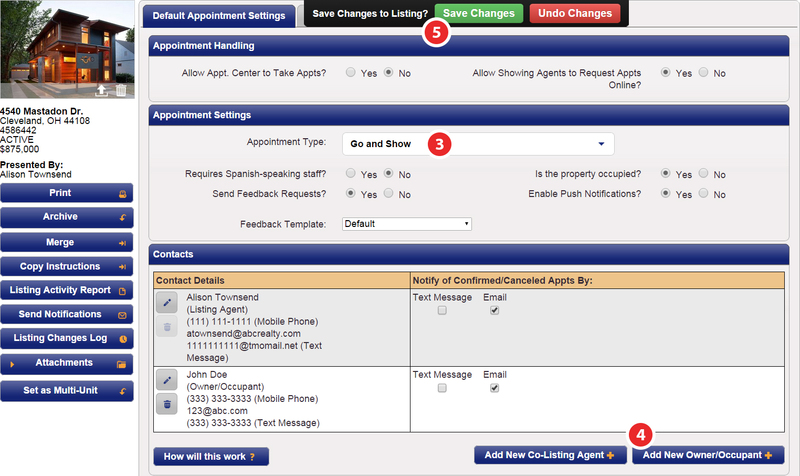 Go and Show is the recommended 'Appointment Type' for vacant homes on lock box. This setting will alert ShowingTime to document the appointment request, review the rules and exceptions that you have configured, and confirm it. Both you and your sellers are notified using your preferred notification methods. Courtesy Call is the recommended 'Appointment Type' for homes with owner/occupants that are pretty flexible. This setting will alert ShowingTime to document the appointment request, review the rules and exceptions that you have configured and confirm it. Then a phone call will be placed to the designated contacts informing them of the confirmed appointment.